Super nice high end furniture SALE. Don't Miss Out On These Items. New and like New items. Bid Often and HIGH to WIN!!! The Winsome Claire End Table is the perfect accent piece to transform any space. With a classic style, this end table will add a touch of richness to your interior design. It has a drawer, which is great for organizing your living space. Featuring a wooden construction, it has a timeless look which brings warmth and character to your home. Designed with a white finish, this end table is perfect for creating a calm and pure feel to your living room. Features: -Tan cubbies dividers and sponge cushion. -Great item for the hallway, bed room, or living area. -Shelving can be used to store/ organize shoes and/or other accessories in your home. -Cubbies can be removed . Bench Type: -Entryway bench. Main Material: -Upholstered. Pattern: -Solid Color. Generic Specifications: -One cubby holds one pair of shoes. 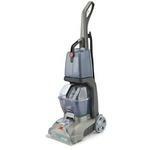 Dimensions: -Compartment dimensions: 6.5" H x 6.25" W x 17" D. Overall Height - Top to Bottom: -22.25". Overall Width - Side to Side: -39.5". Overall Depth - Front to Back: -17". Overall Product Weight: -35 lbs. Assembly: Assembly Required: -Yes. 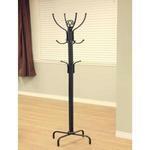 A classic design in Black metal finish, this coat rack is sure to dress up any home. It is perfect to add a touch of style to your entrance way, or even if you're simply looking for a functional item that will hold your coats. Some assembling may required. Middle shelf provides more possibilities to store your items. EZ Home Solutions presents The Foldable Furniture Collection, a unique storage solution that assembles in less than five minutes all without tools or complicated instructions. Perfect for college dorms, guest rooms, first-time renters or homeowners needing extra storage in an instant. Available in different drawer configurations for different storage applications throughout the home or office. The Foldable Furniture Collection is easy to transport too, simply fold and go. Each EZ Lingerie Chest consists of a pine-wood frame, top, two side panels, ten shelf rungs; and five fabric drawers. Instructions are included, no tools required. Help add style to your fireplace with the UniFlame fireplace screen with doors, by Blue Rhino. This elegant fireplace screen helps you conveniently tend fires without moving the entire screen, and features large legs for added stability. Classic Brands Hercules Universal Heavy-Duty Bed Frame is a heavy-duty metal black bed frame that can be adjusted to fit Twin, Twin XL, Full, Queen, King, and California King mattress sets. The interlocking frame system requires no tools and can be assembled in minutes. The bed frame has seven legs for additional support and locking wheeled rug rollers so the mattress can be easily moved and locked into place. Look for more innovative specialty sleep products from Classic Brands. Redesign your living room with the Alaterre Furniture Shaker Cottage Bench. This bench has a cottage style, providing your home with more coziness and warmth. Featuring a composite wood build, it is excellent for lasting use and durability. Infrared LED Electric Fireplace Insert. Carefully crafted of solid wood and wood veneer is the Hampton Harbor White Jewelry Armoire. It also features crown molding, recessed-panel drawers and bun feet to complete its classic design. You can hold many items in the four small and three drawers. It also includes a lift-top compartment with a mirror and side compartment with hooks for necklaces. Width with doors open 32 in. Top hook: hanging distance 14 in. Bottom hook: hanging distance 15 1/2 in. Make a statement in your living room with the Home Decorators Collection Provence Coffee Table. This coffee table features a cottage style so that it will add a casual feeling to your home. It has a wooden construction, bringing long-lasting character and charm to your home through its timeless appearance. Dimensions: 38L x 15.5W x 68H in. The clutter stops here; keep your coats, scarves, hats, keys, dog leash, and more all in one place right with the Prepac Wide Hall Tree with Shaker Doors. The contoured sides and crown molding details give this hall tree a transitional design that blends easily with farmhouse to coastal styles. The hall tree is made of non-toxic, laminated composite wood with an engineered wood backing and finished in your choice of available colors. The four double hooks are perfect for hats, bags, and scarves; put shoes and larger items in the concealed storage beneath the bench. The lower storage is covered by two shaker doors with hooded handles. Assembly is required. Entertain family and friends in your backyard area by having seating at the 60 in. x 37 in. rectangular slat-top dining table. The table can seat up to 6 people and there are 1/4 in. spaces between the slats to allow for the sitting of cups and glasses steadily. The table is constructed of steel with a stylish black finish. You can mix and match the types of chairs you pair with the table too as this is apart of the Mix and Match collection. Dimensions: 37.00”D x 35.25”W x 38.00”H. Material: Fabric. Frame material : Wood. Sitting around the Roland Coffee Table is the best place to entertain your friends and family. With a modern style, this coffee table will serve as a contemporary piece that complements any room. It has an iron frame, making the perfect piece of furniture for creating a feel of industrial charm. Featuring a stone top, it adds timeless allure to your living space. This coffee table has a yellow finish, which can bring a lively feel to your room. The clean, classic design of our Whitaker Corner Bench includes details like beaded-board panels, a scoop toe-kick and a beautifully painted finish. The cozy seat cushion is upholstered in textural, woven polyester, which along with the woven seagrass basket creates comfortable cottage, farmhouse or transitional appeal. The modest profile of this storage bench is perfect for smaller entryways. You might also use it to add seating and storage to your home office. Provides supplemental zone heating for up to 1000 sq. ft. The Glacier Bay 1-piece High Efficiency Dual Flush Elongated Toilet in Bone delivers powerful flushing performance and features a WaterSense certified dual flush design to help conserve water. The toilet's Grade "A" vitreous china construction offers resistance to abrasions and staining. The all-in-one product contains the toilet and seat along with a wax ring with floor mounting bolt set. Provides heat to larger rooms. The Air Comfort Dream Easy Raised Air Mattress is designed for in-home use and provides your overnight guests the snugness of a traditional mattress with the flexibility of an air bed. Twin sized, this mattress inflates in less than 4 minutes with a powerful, integrated built-in pump, enabling simple inflation and deflation. You just turn the pump on to inflate and off when you have reached your desired firmness. When you are ready to pack it away, just switch the pump off, roll it up and store in the included carry bag. The Dream Easy air mattress is made with advanced ComfortCoil Technology that includes 21 top air coils providing maximum comfort and restfulness. The Extra thick, waterproof flocked top and PVC sides are designed with added durability against normal wear in the household. The Dream easy series comes with a Dura-grip bottom to prevent the bed from sliding and a retractable power cord for added flexibility. This versatile twin air bed makes it easy for you to host guests in any room of your home at a moment's notice. Sleep well and Dream Big. If you're finding yourself a bit short in terms of storage surface areas and don't have a lot of floor apace to spare, this wall-mounted shelf is an excellent solution. With an industrial design that will give a unique edge to any room, this wall hanger will give you the space you desire, allowing you to de-clutter and reinvigorate your home. Add a welcoming and homey feel to your doorway with this Winslow white entryway shelf. The sturdy design features four cubby compartments, perfect for organizing grab and go items for every member of your family, and nine hooks that allow you to easily hang scarves, jackets, and purses. The stark white finish adds to the country comfort feeling of this stylish design, making this shelf a great choice for your home. Enjoy outdoor dining with the Niles Park 5-Piece Sling Patio Dining Set, a beautifully appointed cast aluminum ensemble from Hampton Bay. This set includes four swivel rocker dining chairs and a 48 in. round table with umbrella hole, all featuring finely detailed matching designs. Rust-resistant for lasting use, the frames are finished with a hand-applied, multistep bronze with subtle golden highlights and hand-welded seams. The durable, split sling Phifer fabric in harvest brick provides your guests with hours of form-fitting comfort and enjoyment. The Home Decorators Collection Bella End Table is an ideal option to upgrade any room. Featuring a modern style, this end table will be an aesthetically appealing addition to your interior design. Made with a glass top, it will create a spacious look. With a metal frame, it will add a casual and rustic element to your interior design. Relax for hours in this Mix and Match Zero Gravity Patio Lounge Chair. This lounger is the ultimate in comfort and has a durable steel frame covered in weather-resistant sling. Use in your own backyard or take it to the beach to enjoy the outdoors anywhere. No assembly required, this bench measures 52.4" x 17.7" x 17.5"
Exuding Country French charm, the Ramsey bench recreates the look of a family heirloom with beautifully carved distressed oak frame and timeless cabriole legs. Upholstered in sea mist-colored cotton velour, Ramsey makes a welcoming statement in an entry hall and inviting one in bedroom or living room. Warm your home with the ambience of this infrared electric fireplace. 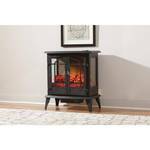 The infrared heater maintains humidity to provide warmth without drying out the air. This supplemental heating source accommodates areas up to 1,000 sq. ft.